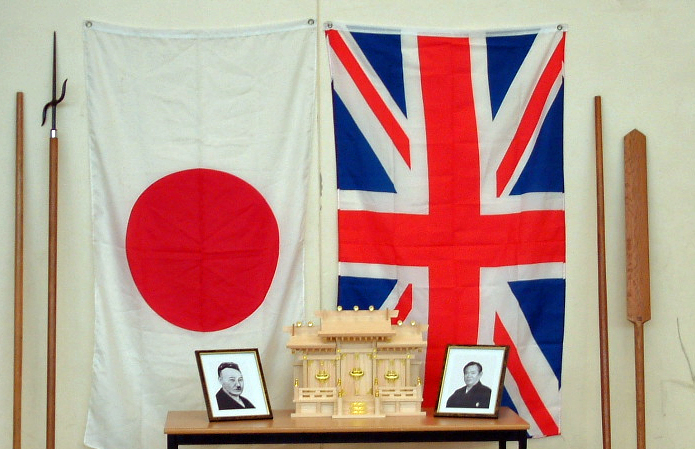 Welcome to Matayoshi Kobudo Kodokan International – UK Branch….. This is the official UK Branch of the Internationally recognised Matayoshi Kobudo Kodokan International (MKKI-UK Branch). The MKKI is one of the largest Matayoshi Groups in the world (MKKI Worldwide Dojo’s). We represent the preservation and teachings of Matayoshi Shinpo Sensei through our direct link to Sensei Franco Sanguinetti (8th Dan and head of the MKKI). Sensei Franco Sanguinetti (www.bushikan.com) is a direct student of Sensei Shinpo Matayoshi. Sanguinetti Sensei has trained with many senior instructors from the Kodokan (Home of Matayoshi), and today is one of the most senior instructors outside Japan in Matayoshi Kobudo Worldwide. 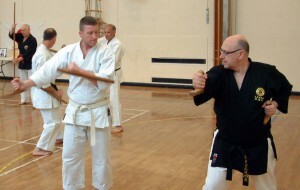 Matayoshi Kobudo Kodokan International – UK Branch is affiliated to the MKKI, and therefore we have continual instruction by Sanguinetti Sensei, and the availability to train with many of the world Sensei’s in Matayoshi Kobudo. This preserves our knowledge on a continual basis, and enables us to progress in the way that Matayoshi Shinpo Sensei wanted. Our aim is to preserve and spread the teachings of Matayoshi Shinpo Sensei. 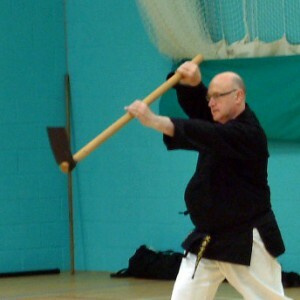 If you are a martial artists who likes to train in traditional style weapons then please take some time and read through our Website. We are also keen to expand our membership for instructors and students alike from any discipline. So if you are interested in becoming a member of our prestigious organisation then please contact us. 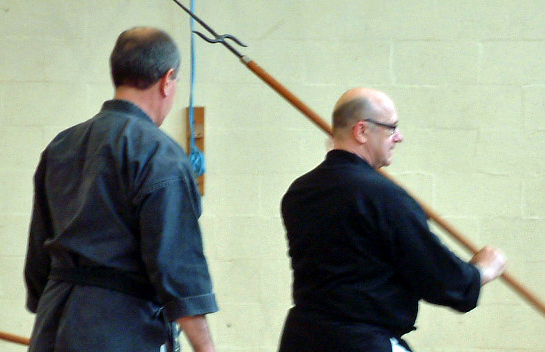 Matayoshi Kobudo is the study of Okinawan Weapons and is one of the oldest Kobudo Styles practised today. This unique martial art dates back over 9 generations within the Matayoshi Family. This art form as we know it came from two remarkable instructors, Master Matayoshi Shinko (father) and Master Matayoshi Shinpo (son), who dedicated their lives to leave us the Legacy of their style. The late Sensei Matayoshi Shinpo who was considered the highest authority on Okinawan weapons in the world. Matayoshi Kobudo In the UK. There are a lot of hybrid systems of this Kobudo in the UK, but our system is the official authentic Matayoshi Kobudo system that is affiliated to Sensei Sanguinetti (MKKI), and therefore comes with a good pedigree (see Sanguinetti Sensei’s Page), which is recognised in Okinawa, Japan. As we our affiliated to the Matayoshi Kobudo Kodokan International we have continual instruction from Sensei Sanguinettti, and our students have the ability to train with many of the world leaders in Matayoshi Kobudo, and to go to Okinawa to train in this remarkable art. Although kobudo is practised by many in the UK, Matayoshi Kobudo is becoming more popular with more dojo’s affiliating to the Matayoshi style via one of world’s International highest ranked instructors outside of Japan, Franco Sanguinetti Sensei (8th Dan). See also the MKKI World Dojo Page. Please feel free to take some time and purse the Matayoshi Kobudo Kodokan International – UK Branch web site. Why not join us and Learn Authentic Matayoshi Kobudo & Become an Affiliated Member, having the availability to train in Okinawa, Japan, and many other Dojo’s throughout the world!